Tourists wishing to visit the Costa del Sol will have at their disposal a new tool to know everything about the destination, with a mobile application from which visitors can book hotels and know all the information regarding their services. 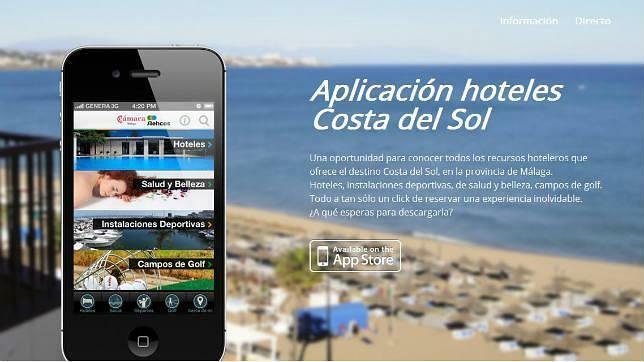 The mobile application is now available for free on the iPhone App Store under the name of ‘Hotels Costa del Sol’. For now, it is only available for iPhones in Spanish and English, but soon is planned a second version for Android devices incorporating German, French and Russian. The device offers four search criteria for tourist establishments: Hotels, health and beauty, sports facilities and golf courses, featuring more than 200 tourist establishments in the province of Malaga. Travellers can search by category and can select from a five star hotel to an apartment or a pension, enter the name of a particular establishment, select locations and realize proximity search by geolocation. Besides accommodation, this application offers other services such as health and beauty, sports facilities and golf courses. Within the file of each facility users will have access to information on the category, a gallery of photos and videos and the website. It also allows contacting them via telephone or social networks. Another option is allowing geolocation of tourist facilities and the possibility to create driving directions through Google maps.